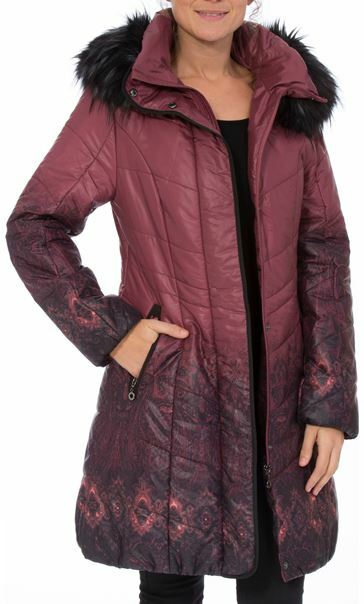 Look and feel amazing whilst keeping the chill at bay in this this longline padded coat. 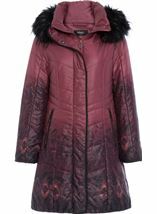 Featuring a gorgeous graduated print, zip pockets and zip fastening throughout the front, this must have coat also boasts a detachable faux fur trim to the detachable hood. Back length 90cms. 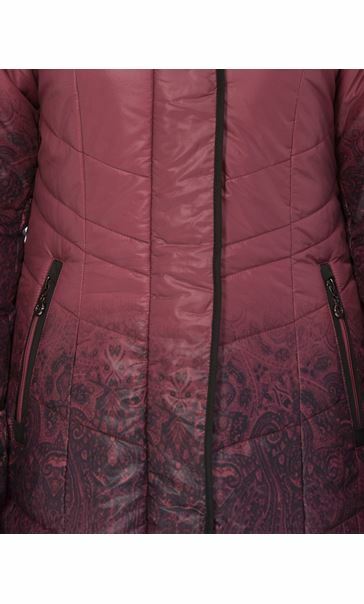 Beautiful coat but unfortunately was only available size 10 (I am more of a 12 but my weight fluctuates. It was just slightly too small on my bust. I was so disappointed. The colour is really eye-catching in the way the shading goes from a lightish plum to a deep Burgundy. 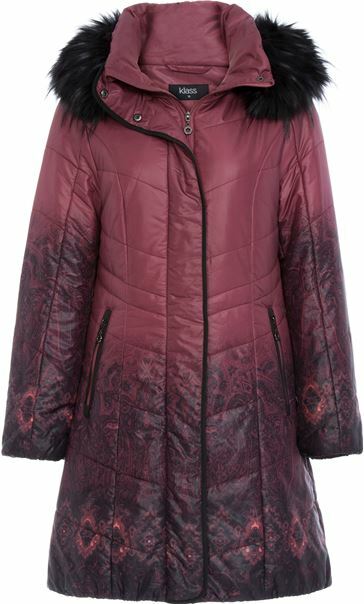 I highly recommend this lovely coat _ and great value for money in sale. 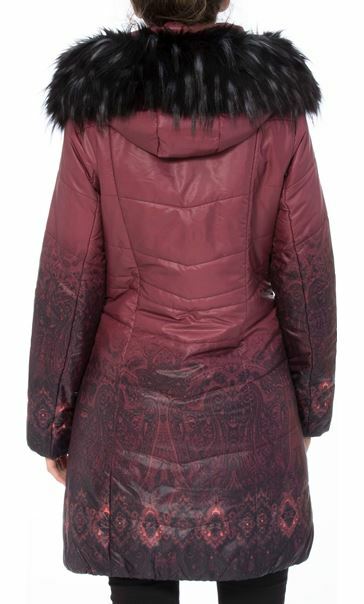 This is the perfect coat for winter. Not too padded but cosy and warm. 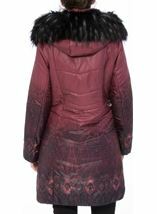 The fit is perfect and it has a detachable hood, also detachable fur. 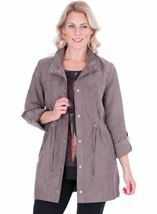 Lovely smart coat. Good fit and looks smart. Great colour and good value as bought in the sale. 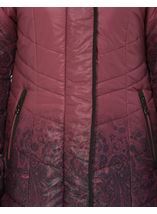 Pleased with coat,just as cosy as it looks and lovely colour. 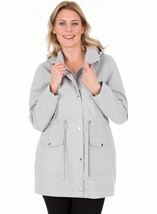 Particularly pleased with first purchase discount on the item and my first online deal.